According to a new study from Privilege insurance, three out of five Brits would support a Government ban ruling out drivers from smoking if a child under 16 was in the car. Even though weâ€™re heavy smokers ourselves, weâ€™ll agree with the majority here, as passive smoking isnâ€™t something weâ€™d like to subject our kids to. Seventy per cent of the public would support a Government ban prohibiting drivers from smoking if a child under 16 was in the car according to new research from Privilege Insurance. With one in twenty youngsters under the age of sixteen subjected to passive smoking from their parents, the health implications for the next generation are worrying. And new academic research has shown that smokers have an increased crash risk, leaving youngsters in both health and accident danger. Privilegeâ€™s academic research has proved smokers drive on average 23 per cent faster than non-smokers. As speed is a contributory factor in over a quarter of all fatal accidents[i], smokers not only have to deal with the possibility of being diagnosed with a fatal disease, they are now more likely than non smokers to be involved in a crash. Previous Privilege research shows the number of people smoking while driving is predicted to increase by 14 per cent following the smoking ban on 1st July. â€œThe study clearly shows that smokers do have a tendency to drive faster and more inconsistently than non-smokers â€“ in effect, confirming theories that smokers tend to have a more risk-taking attitude to life. 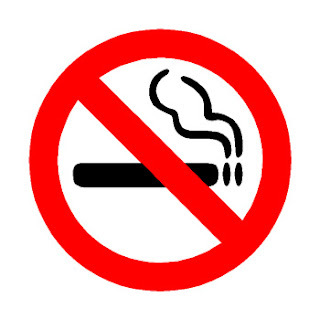 Itâ€™s also clear that smoking is an activity that diverts a driverâ€™s attention away from the task of driving, especially for those drivers who choose to start smoking in their car following the ban. Drivers should therefore exercise extreme caution and discretion if they choose to smoke and drive. Safety while driving is paramount and will reduce the chances of having an accident. Privilege Insurance guarantees to beat renewal quotes for drivers with 4+ years no claims discount and on an equivalent basis to ours. Offer ends 31 October 2007.